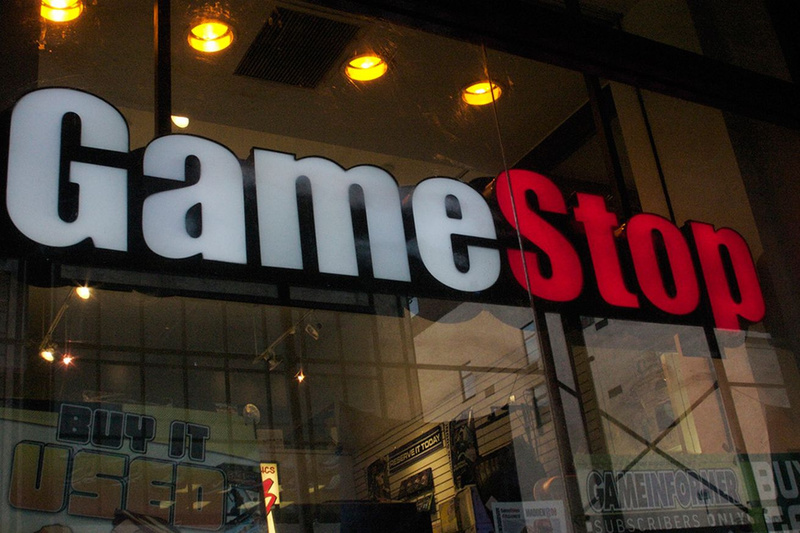 Ahead of the Nintendo Switch presentation, a couple of sources have reached out to us revealing pertinent information regarding GameStop's US plans for Nintendo's latest console. You'll be able to pre-order the Switch (in the US, at least) starting at 10am tomorrow at your local GameStops; it's looking like allocation will be somewhat minimal, so you might want to get in line early tomorrow morning at the latest (however it seems as if some stores have been receiving more allocation than expected). It's also important to note that minimum deposit of $50 will be required to reserve your console. Amongst other pre-order details, information on trade-in deals was also shared with us - here's the rundown. $50 extra credit when trading in these systems (extra $25 if you're a Pro Member). $20 extra credit when trading in these systems (extra $10 if you're a Pro Member). The extra credit will be very helpful considering the price that the Switch is rumoured to be launching with; $250 has been cited in some reports. Will you be trading in any of your old systems to reserve the Switch? ....Yeah I'm not getting rid of my Wii U.
I never trade in systems or games. Hmm....I may off load my xbone. @Capital70Q I think $130 for a 3DS XL is a pretty reasonable price. Yeah, systems or games. Once I buy a system/game, it stays in my library for life. I traded in my crystal blue Dreamcast at Gamestop back in the day... have regretted it ever since. I'd be an even bigger idiot if I ever considered doing that again with any other system. Just got home from a quick drive by at my local gamestop and they will have 20. If I can't secure a pre-order from Amazon or online will definitely be heading back super early in the morning to queue up. Thankfully it's been unseasonably warm so shouldn't be too bad. 1 hour left!!!! I just don't recommend selling consoles pretty much ever. If you have extras maybe. Super tight on cash... you know, just keep it and play it more and wait until the "new thing" goes down in price. This is especially true as the Switch seems to have no backwards compatibility for anything recent... if you don't include the apparent Wii U ports that is. But especially selling a 3DS for a Switch makes very little sense as they are likely to live side by side for at least a year and there is much less likelihood of any significant part of that library reaching Switch. Yeah especially with the hundreds of dollars of eshop, Wiiware, VC games I have on Wii U. I guess the new network ID will transfer over so hopefully there is some kind of solution for VC anyway. As a collector I can't stand trade ins. I traded my Atari and Snes. Kept every console since N64 and plan to until they put me in a box and trade me in! I'm off tomorrow! I definitely will be there before the store opens . I sold my N64 back in college so I could get the Dreamcast on launch day. I had read about the fact that the N64 was getting a price cut and I ended up selling the system and several games for what the new price was gonna be. Back then, pawn shops weren't as in-tuned to stuff like coming price drops and such on the internet! But I do regret not keeping the 64 and waiting for the Dreamcast. Don't trade-in anything unless you really need the money. @ShadowForks I guess. I mean, I'll defer to your judgement here seeing as I don't own one. without trading in stuff that never gets touched anymore I won't be able to afford a Switch (and one for my son as well). i WILL BE THERE. mY BODY IS REGGIE! If the Nintendo Switch had backwards compatibility $170 is actually a good deal but I have way too many Wii U games to justify trading it in. I love my Wii U, I would NEVER trade it in! I loathe Gamestop. Very last option for me. Really hoping to pre-order via Amazon or Target, will suffer through the stink of preteen booger crust at GS if I must. Already sold my Wii U for a Xbox One S, and I couldn't be happier. I already made the mistake of selling games to get new ones, and I started downloading games so that I never do it again. As such, I can't possibly sell my Wii U, even if I wanted to. And dreamed about Wii U. ***SAVE your Wii U they will be collectors items worth more money in the future. Think about it. They didn't sell a lot. I already sold a ton of unused game stuff last year in anticipation of the Switch. My wallet is ready. That said, I'll never part with my Wii U. Tempting but keeping my Wii U and both 3ds. I still have a wii to trade in. Wii u might stay. A few 3ds games can go. @Galactus_33 Exactly. I don't expect complete Wii-U systems (with system plus Gamepad) will ever go for under $100. Most of the people who bought one were Nintendo diehards who generally don't resell games anyway. It didn't sell a lot of units and had some great exclusives. Pretty much it will remain collectible much like Dreamcast. I preordered mine from GameStop online as a placeholder. If I can pre order one from the store, I'll cancel the online one.